MARRIED TO JEZ AND MUM TO TWO CHILDREN AGED 17 AND 20. (ones about to graduate university and the others about to start in sept). I LIVE ON A QUIET STREET 2 MINS WALK TO WESTERTON PRIMARY SCHOOL AND CLOSE TO TINGLEY ROUNDABOUT FOR THE MOTORWAY. I HAVE 5 PETS A CAT 2 RABBITS AND 2 GUINEA PIGS. i've worked in childcare since i was 16 so over 30 years experience ,first in nursery then has a nanny.ive also had 11 happy years childminding caring for children from birth to teen years before returning to been a nanny/babysitter. I have full knowledge of the eyfs framework and practise this on a daily basis to ensure your little ones meet all their goals in life and are fully engaged through out the day. Early years education is very important to me and because of this I use an online learning tracker which allows us to work together at every single ste of the way. Babydays is the most advanced in its class. There’s no need to ask to view your child’s learning journal or development tracker because it’s at your fingertips at the push of a button. You are notified when a new observation is added or next steps are added. You can even set targets yourself. activities are planned around the child's interests and around the early years goals your child’s not quite reached yet. Tracy culpan. working towards the early years educator diploma level 3.city in guilds in child care,child protection and other childminder qualifications.diploma in social care. Crb checked and first aid training up to date.ofsted registered and fully insured. 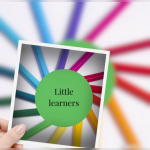 Below are the latest reviews for little learners. Please note that reviews represent the subjective opinions of other Childcare.co.uk users and not of Childcare.co.uk. Parents must carry out their own checks and references on childcare providers to ensure that they are completely happy before enaging in the use of their services. Amazing lady, would 100% recommend!!! Our 2year old joined little learners at the start of this year, he has been there for just over 3 months now and his development since joining here has been phenomenal. Tracy is amazing with all the children, everything they do includes EYFS themed play and she naturally helps the children with development. It's obvious from the start that she genuinely cares about all the children in her setting and we immediately felt comfortable with her. Alex loves her and settled so quickly, he now looks forward to his visits and every week he learns something new. I would 100% recommend this lady to anybody looking for great care for their children, we are so happy we found her! Perfect care for our daughter! Our 13-months daughter is with Tracy from about 2months and she adores her from the beggining. I know she never gets bored there. She has lot of attractions like soft play, dancing lessons, crafts, etc. I am pleased because our LG have contact with the other children. We are Polish so she is also learning English language from early years. Tracy try to send me pictures and videos regularly, she also put them on Facebook(with my permission). My LG always come back home so excited and happy and that makes us happy too. We are sure that we found perfect care for our baby. I highly reccomended Tracy for everybody! My son is nearly 14months has been with Tracy at Little Learners for the last few months since I went back to work. Initially I was really worried because he was a very clingy mummy’s boy who wasn’t confident around strangers or other children but what a difference a few months has made! He absolutely adores Tracy and gets giddy as we walk down her drive because he knows he’s going to see her. Tracy completes a diary for me everyday so I know where he’s been, what mood he’s been in, what he has/hasn’t eaten and I regularly get photo updates during the day which brightens up my day at the office! I feel it’s very much a home from home evnviroment for my son, I know he’s not just a number at Tracy’s like he would be at a nursery, she really takes the time to get to know every child and all their little quirks so she knows instantly if he’s not quite himself and will quite happily give him a cuddle if he needs it. His confidence and development has come on leaps and bounds in the short time he’s been with Tracy and he’s now a very happy cheeky little boy who enjoys interacting with other adults and children. Our 2 children (2 yo and 5 yo) loved spending time with Tracy and couldn’t wait to see her every Monday. She had them for a year and was very good at ensuring they had a fun day and catered to our needs but also added learning to the play. I’d highly recommend Tracy to anyone looking for childcare. Knowing our children was with Tracy left us feeling confident in her care when we had to be at work. This child minder is really good and took good care of my son. Thank you. So glad your happy.